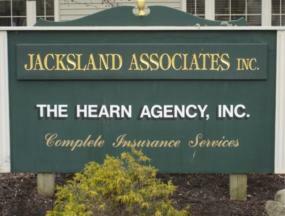 The Hearn Agency Inc PO Box 329 209 Erie Blvd Canajoharie, NY 13317 Monday - Friday 8:30 - 4:30 518-673-3263 518-673-2905 (fax) Jacksland Associates PO Box 120 343 N. Comrie Ave Johnstown, NY 12095 Monday - Friday 8:00 - 4:30 518-762-4647 518-762-0401 (fax) The Hearn Agency, Inc. is a small community insurance agency. We write all types of insurance with several companies. Many of our customers are local, but we have customers ranging from Lake Placid to Syracuse.